Once I mapped that out, I realized that many of the organizations I’ve worked with have evolved over time. I initially engaged when they were focusing on operational excellence and efficient delivery, and then over the years, have watched as they’ve grown in maturity and become focused on how to effectively define the portfolio. Finally, I overlaid some of the component capabilities of a PPM solution to see where they fit into the model. The end result is as follows….thoughts? Consider, for a moment, a cautionary tale of two organizations: Organization A and Organization B. Each organization takes a significantly different approach to delivering the project portfolio management (PPM) capability. 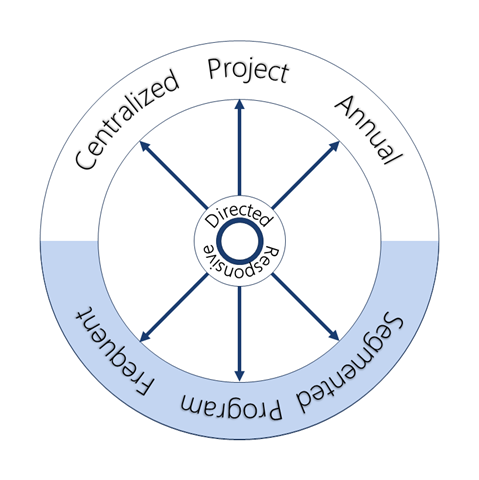 Organization A has a relatively immature approach to project portfolio management and performs annual planning on a, well, annual basis. Each business unit compiles a list of project requests which are submitted to a central repository. Months of back channel negotiations and positioning ensue. At the end of the process, the organization has a list of approved initiatives for the next fiscal year…which may then be summarily ignored in favor of last minute project requests thrown out by the business. This is what I would classify as a typical “pull” approach to PPM, where each group submits a request to pull the project through the approval cycle and into execution. Where do these goals come from? These days, those goals are increasingly being driven by gains in the field of analytics. As analytics platforms mature and the volume of data generated by the Internet of Things expands, analytics are expected to drive ever more decisions as to what projects need to be executed and where capital should be prioritized. Are assets providing the expected return? Is equipment performing as it should? Increasingly, analytics will drive these assessments. Once gaps are identified, i.e. once we identify reality is not performing according to specifications, what is left but to charter an intervention in the form of a project? Now, however, the project is not driven by a request or saddled by the lack of an ability to track benefits. The project is born of analytics and will support a specific measurable goal. This then becomes the key indicator for the maturity of a PPM system….not how many strategic drivers are leveraged to assess projects, or how structured the process is. 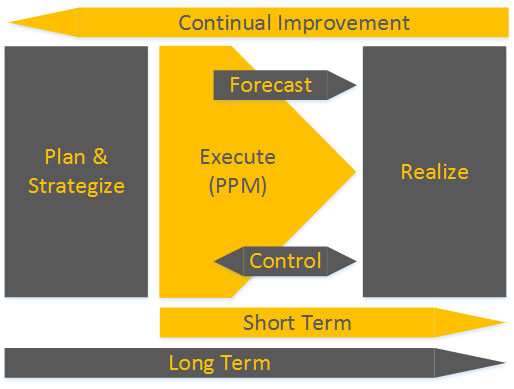 Instead, the single indicator that will drive PPM maturity into the future is how much data, or situational awareness at the highest level, is actually being used to drive the project identification process. You know that video on Youtube? The one where this guy presents the history of dance in 5 minutes? This blog post kind of started as an homage to that, i.e. 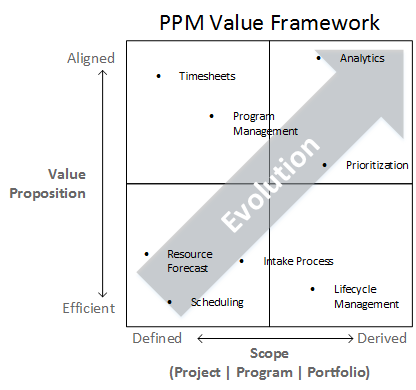 an attempt to take you through trends in the PPM space over the past several decades. 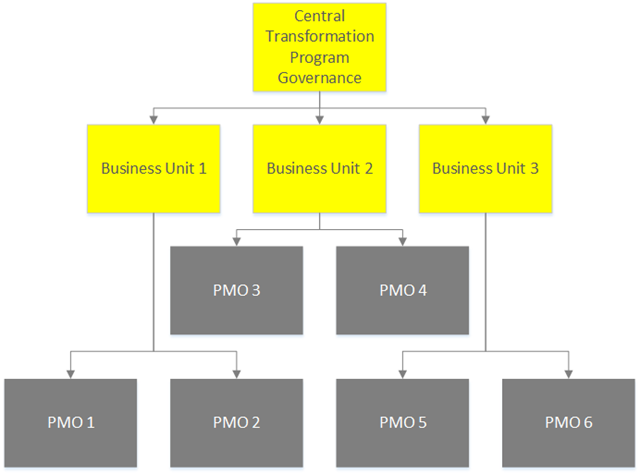 Part of the driver for writing this post is that I’m starting to see discussions turn to “the next big thing” in PPM which is an early indicator of a shift change in PPM thinking….and a helpful reminder of the last time I listened to the NBT discussion. It all started with the push to enhance project execution. Focus was placed on enforcing a consistent delivery methodology, resource balancing and religious wars around which execution methodology was most appropriate for any given scenario. I’m not discounting the importance of any of this…..execution is important. 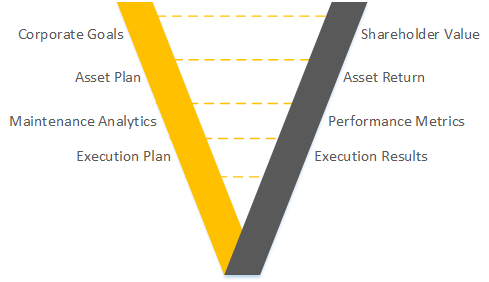 What’s happened in tier 2 portfolios at least is the growing recognition that execution is not the end all be all of getting value from the project value chain. After all…..why execute bad projects well when we can execute good projects poorly? In the end, we still get more value. And hey, if we can execute good projects well, then that’s pretty much the sweet spot. Hence we moved into the era of strategic drivers and pairwise comparison. The goal was to take a passel of projects, throw them into an analytical engine and let them shake out into an optimized portfolio. Couple this with a feedback mechanism from the project execution process, and we can ensure that our project portfolio is ever optimized. Again….sounds great. The model begins to erode however once we introduce benefits realization into the mix. Benefits realization is they key to optimized portfolios. Hence, this required that all projects must be tied to a benefits case. The other challenge is that this required a regular cadence of project review and approval. Many organizations don’t have the time to wait for a project to be proposed, go through a review, and then wait in a hopper with a number of other projects in order to get evaluated and approved. After all, that’s the only way to account for the opportunity cost associated with the project. Continuing in our search for the optimal project portfolio, some organizations have turned to program based allocation as a remedy to the slow pace of the traditional “Collect and prioritize” model. Funds are allocated to the program, and in turn, are allocated to other projects that meet the needs of the program on a regular cadence with less dependency on evaluating all projects against all other projects. Programs when used in this fashion, i.e. 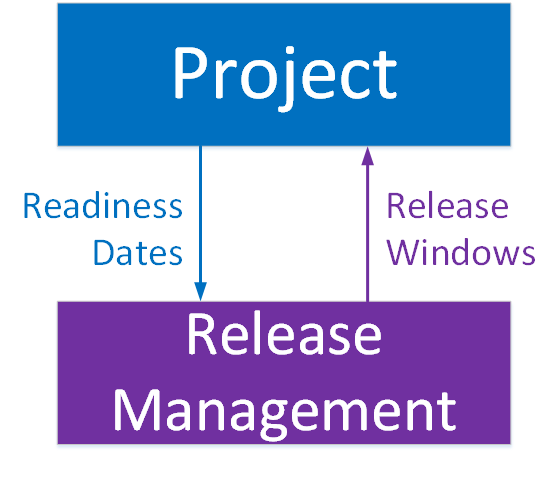 essentially a benefits realization framework, also provide the critical wrapper for project performance metrics. We don’t need to track the benefits of each project, but rather the program in aggregate. Arguably, ITIL came in ahead of its time with a concept ahead of its time by providing a way to wrap projects around services that are offered to the business. Again, this is a great approach and a significant step forward. Where this is lacking is the link to the corporate strategy. The portfolio management organization at this point has reorganized to work flexibly and bimodally but is crucially still lacking in a way to tie the execution work with the overall strategy. Remember back in stage 2 where our goal was to get a whole list of projects put together and prioritized? Around that time was when the ideation vendors used to come in and pitch their products. How do you prioritize a list of projects when you don’t even know whether the list was complete? How do you methodically identify the gaps in performance and strategically develop the next innovative product offering? Enter the world of capability based planning and enterprise architecture. Identify the goals of the organization. Identify the capabilities required to support those goals. Invest in strategic capabilities – by treating each capability as what is in effect, a program. This represents the next step in the evolution of portfolio management thinking, i.e. the critical link between the doing of portfolio management and the content of the portfolio itself. Identifying a flexible framework to allow us to adjust our portfolio management approach based on conditions in our industry or the economy. Incorporation of big data and the Internet of Things. With ever cheaper access to analytics and benchmarking, organizations can shine a spotlight on their internal operations like never before, and use that data to create portfolios of prioritized projects designed to address those gaps. As I was writing this, I realized something however. These stages don’t necessarily represent an evolution in maturity. Rather they represent a growing push to make work more relevant. When that push starts at the bottom, i.e. at the level of the people doing the work, then what I’ve outlined above is a natural progression that many organizations move through. What if we start at the top though? What if we identify the strategy and then work our way downwards to design from scratch the optimal mechanism to operationalize that strategy? Wouldn’t we end up pretty quickly with a design very similar to what I’ve outlined in Stage 4? That then begs the question…..how often do companies take that top down approach? If, as I’ve observed, it’s not very frequent, why? Why is it always an approach of starting at the bottom, and then increasing our reach in larger and larger slices of the organization? That’s a post for a different time. Finally, yes, I know that image is still in your head. Here’s a link to the Evolution of Dance video. Always worth checking out.